It is economy Hotel of the Bali needs-style, for 35 minutes by car from an airport. Sahadewa Resort is convenient location nearby supermarket and a restaurant. Service of friendly staffs is favorable. 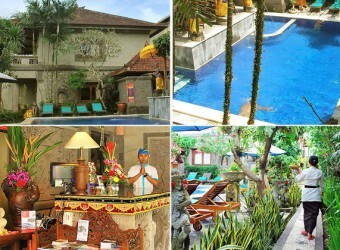 It is Bali-style boutique hotel located in the center of Ubud. It is walking distance to the art museum, Monkey Forest, art shop, bar, and restaurants.